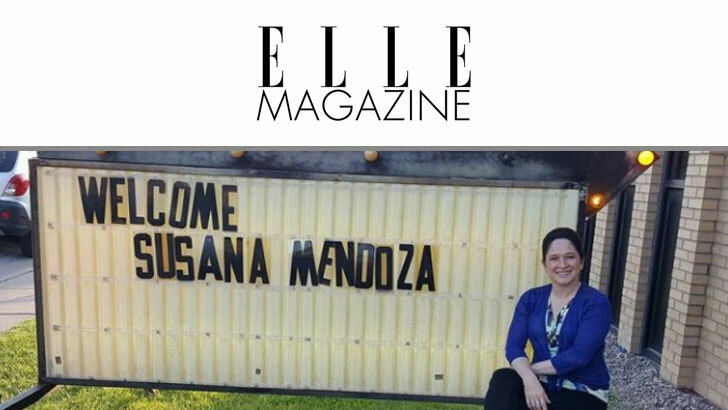 Susana Mendoza is the current comptroller in Illinois, winning the 2016 special election in November. Previously, she was an Illinois state representative, a position she held for six terms, and a Chicago city clerk. She is the proud daughter of Mexican immigrants. When I was a little girl, I wanted to be a professional NFL player. I remember I told my dad one day, I was probably 6 years old, that I wanted to be an NFL player. He said, “Okay, well that’s great! You’ve just got to work really hard to do that.” I’m 5’3″. I’m not very big, and imagine what I was like at 6, right? My Mexican father didn’t even flinch when I said that. He said, “Okay! Eat all your vegetables!” I grew up in a household where anything I thought I wanted to do was encouraged as possible. My dad contacted the ACLU on the principal’s recommendation, and was told there was currently a court case that the ACLU was representing that dealt with a girl in our same conference who was trying to play on a rival boys’ team. I played volleyball that year while this was all litigated, and then my sophomore year, our conference decided to start a girls’ team. In 1991, I was a part of that founding team. But my dad said to me, “What you should do is call the person who’s running against him and volunteer to help him.” It was like divine intervention. So, anyway, I called him. I somehow got put through and I told him I had gotten this terrible mailer about him. He got all defensive, but I said I hadn’t called to criticize him. I wanted to share my ideas for a rebuttal. And he said, “Really?” And after this conversation, he said to me, “I need to meet you. Can you come by my office tomorrow?” And I said, “Sure!” I stayed up writing a rebuttal piece based on our conversation. The next morning I put on my lucky blue suit. I was like, okay, this is cool, but what if this is some creepy old dude that’s going to be chasing me around the table? Every day for the next three weeks, my dad asked me if I had gotten a call from the ad firm. And I had said, “Don’t worry about it! It’s not a big deal.” And then completely unexpectedly, my dad dropped me off at work and he didn’t pick me up because he had a massive heart attack and died. I was 22. He was only 61. My whole life changed in the blink of an eye. I didn’t care about going to work for an ad firm anymore. I was working at a Marriott, and I just cared about taking care of my mom. One of my brothers moved back to Chicago to help. The hotel hired him, too, because they knew we had just lost our dad. I felt so indebted to them. The woman at firm called the state representative―Ray Frias, who had won the election but was not sworn in yet. She said, “Susana is here. She just lost her dad, and her brother is moving in to help family. Do you happen to have any scholarships available?” And this man that I met this one time said, “Sure.” That was my aha moment. I just remember thinking, That’s how people should be. That’s how elected officials should be. My brother didn’t take the scholarship and I respected his wishes. But I never forgot that that offer was given to me when I needed it the most. I took the job at the ad firm six months later, but on the condition that I could still work a shift at the front desk of the Marriott. Six months after that, when Frias, who was now an alderman, called me to see if I could help with his PR through the firm, I finally left the hotel. I’m thankful I lost that first race. I hate to lose, but it was what made me realize that I could do this and I wanted to do this. When I was 25, Ray Frias asked me if I would think about running for the position of state representative. I remembering thinking, That’s crazy. Who would vote for me? And he said, “I would vote for you. I think you’d be amazing. You might not even realize how good you would be.” At the end of the day, I was convinced. It was his old seat. I was 25, taking on an incumbent. I only lost by 55 votes. That night, for the first 30 minutes after I realized I didn’t win, I was mad and acted like a crybaby. [I said], “I am never doing this again!” And [Frias] said, “Really? I didn’t know I was supporting a quitter.” It was not the pep talk I expected, but I needed it. I ran for a second time a few years later and won with 55 percent of the vote. I was 28. I served six terms in the legislature and never looked back. I’m thankful I lost that first race. I hate to lose, but it was what made me realize that I could do this and I wanted to do this. In 2011, I won the city clerkship. I was sworn in at Millennium Park, one of the proudest moments of my life. Probably 250,000 people were out that day. My mom held the Bible for me when I took the oath. I felt like this was her moment. I felt her hard work, her sacrifice. My dad didn’t live to see it, but I felt like he was there with me. It was the best way I could say thank you to her for putting her dreams on hold [for me]. I think we should be asking not just women, but men, too, about their families, about their lives outside of the job. Because you can ask me a million questions about politics, but at the end of the day what gives me my drive is my family. I want my son to grow up proud of his mom, and I want him to know that when he enters the workplace he should honor women and respect women. If he grew up seeing that his mom can do it, he’s going to assume every woman can do it. Because of the family I grew up in and the family I’m trying to raise, I’m very aware that women and children are the people who are made most vulnerable when we politicians aren’t doing our job. The poorest mother in our state should have the same chance to grant her child a good start as I have to give my son one or a billionaire has to give his son one. When we talk about social justice, it doesn’t start with incarceration. It starts from birth, with investing taxpayer dollars and improving people’s livelihoods. It’s my responsibility to tell the story of people, how they’re being affected by negligence, to communicate that. It’s my job to try to make a difference. It’s hard. But if I can drive some change, that’s what keeps me going. View the article: Kahn, M & Yaptangco, A. (2017, February 16). 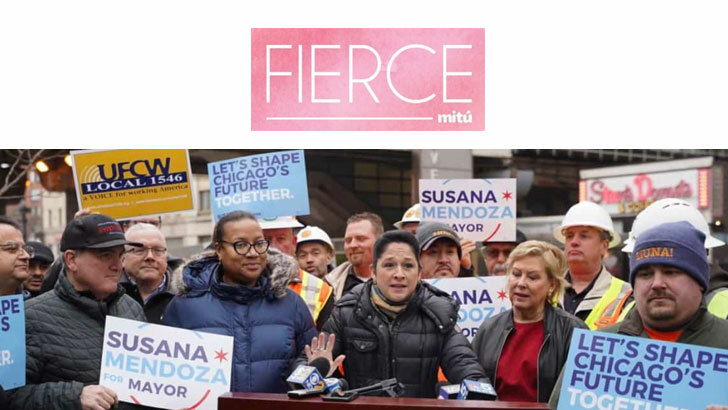 How a Misspelled Spanish-Language Flyer Convinced Illinois Comptroller Susana Mendoza to Run. Elle. Retrieved from www.elle.com.